Home→Aids for Teachers→Why “In Light of the Cross Bible Study Guides”? Why “In Light of the Cross Bible Study Guides”? Tuesday’s lesson this week is about Christ-centered doctrinral beliefs. This reminds me of a passage that has become the theme of my ministry. The sacrifice of Christ as an atonement for sin is the great truth around which all other truths cluster. In order to be rightly understood and appreciated, every truth in the word of God, from Genesis to Revelation, must be studied in the light that streams from the cross of Calvary. I present before you the great, grand monument of mercy and regeneration, salvation and redemption,—the Son of God uplifted on the cross. This is to be the foundation of every discourse given by our ministers. -Ellen White, Gospel Workers, Page 315. We are not saved by doctrine. We are saved by God’s love and grace. So why does Satan work to skew our understanding of doctrine when he knows we are not saved by doctrine? Because doctrines help us understand God’s love. Our understanding of His love determines whether we accept Him or reject Him. Satan wants to skew our understanding of doctrine in order to warp our understanding of God’s love and make us reject Him. For example I have read a few testimonies from former atheists saying the reason they originally rejected God was because they could not imagine a God who would torture people throughout the ceaseless ages of eternity. Once they realized God isn’t going to torture people for all eternity they could accept God into their lives. I read a book last fall, To Sleep with the Angels, by David Cowan and John Kuenster.1 It was about a Chicago Catholic school fire in 1958. The book explains several reasons that were avoidable that led to the deaths of 92 students and 3 teachers. The authors also address how the church tried to comfort the parents, but their “comfort” did not make any sense. Parents were told that God needed their children. “But we needed them,” the parents countered. Also, does that imply God doesn’t need the children who survived? Parents were told that God took their children to heaven because they were so good. “Does that mean the rest of us are bad and God rejected us?’ Parents asked. The punishment of the wicked and state of the dead are just a couple of examples of how false doctrines warp our understanding of God’s love. This is why a few years ago I put together a set of Bible study guides called, In Light of the Cross Study Guides. They are available on my personal website. The lessons can be read online or downloaded and printed out in PDF format. Over the years people have written and told me they have been used in church Bible study groups as well as New Believers’ Sabbath School classes. Recently a family from Tennessee wrote that they were enjoying the lessons during family worship. They have also been used as guides and supplements in baptismal classes. I have provided both a King James Version edition, as well as a New Living Translation edition. You can also get the app for your android phone, and always have a Bible study ready to share anytime, anywhere. I pray these lessons may be a blessing to your and your friends as we study all Bible doctrine in the light of the cross. Many of the study guides over the years have been focused on Revelation, or Creation, or any number of seminars. The purpose being new conversions and baptism. Reading the Bible for your self and praying beforehand for understanding and guidance is a first choice for me. I have been reading Isaiah, a chapter or two each new day, with the goal to understand and apply if possible what is being read. As Christ did, when He walked this earth, we need to meet people where they are, and seminars on subjects that interest people is one way to do so. In our local church, we have found that seminars on depression have been very effective in reaching out to the community. In everything, we should be wise as serpents and harmless as doves, always remembering that only Jesus saves - not biblical knowledge and not a healthy body. You state correctly that "Satan wants to skew our understanding of doctrine in order to warp our understanding of God’s love and make us reject Him". You then provide a couple of examples: "The punishment of the wicked and state of the dead are just a couple of examples of how false doctrines warp our understanding of God’s love". Desire of Ages p 761: "Every sin must meet its punishment, urged Satan: and if God should remit the punishment of sin, he would not be a God of truth and justice." Isaiah 53:4 (NIV) "Surely he took up our pain and bore our suffering, yet we considered him punished by God, stricken by him, and afflicted." Indeed. That's why Seventh-day Adventists teach that the Father was in Christ, reconciling the world to Himself. 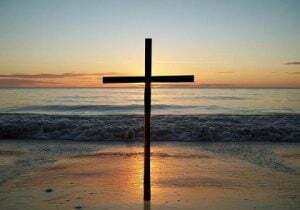 The cross was not evidence of God's anger, but of His love. And it was Satan who killed Christ, through His agencies. It was not the Father. Could one sin have been found in Christ, had He in one particular yielded to Satan to escape the terrible torture, the enemy of God and man would have triumphed. Christ bowed His head and died, but He held fast His faith and His submission to God. “And I heard a loud voice saying in heaven, Now is come salvation, and strength, and the kingdom of our God, and the power of His Christ: for the accuser of our brethren is cast down, which accused them before our God day and night.” Revelation 12:10. Satan saw that his disguise was torn away. His administration was laid open before the unfallen angels and before the heavenly universe. He had revealed himself as a murderer. By shedding the blood of the Son of God, he had uprooted himself from the sympathies of the heavenly beings. Henceforth his work was restricted. Whatever attitude he might assume, he could no longer await the angels as they came from the heavenly courts, and before them accuse Christ’s brethren of being clothed with the garments of blackness and the defilement of sin. The last link of sympathy between Satan and the heavenly world was broken. Yet Satan was not then destroyed. The angels did not even then understand all that was involved in the great controversy. The principles at stake were to be more fully revealed. And for the sake of man, Satan’s existence must be continued. Man as well as angels must see the contrast between the Prince of light and the prince of darkness. He must choose whom he will serve. It is true that the substitutionary death of Christ is a foundational teaching of Christianity. However, there is a wide range of conceptualisations regarding the precise nature of Christ's substitutionary death. So I can understand more clearly where you are coming from, can I ask what do you understand, Biblically, to be the precise nature of the substitutionary death of Christ? We all have temptations. Romans 3:23, All have sinned and fall short of the Glory of God. Also, Romans 8:1&2.There is therefore now no condemnation to those who are in Christ Jesus. Also, Verse 3- "He condemned sin in the flesh". Romans 5:12-15. The Holy Spirit helps us understand, 2Tiomothy 3:16. The texts noted above should help answer your question.